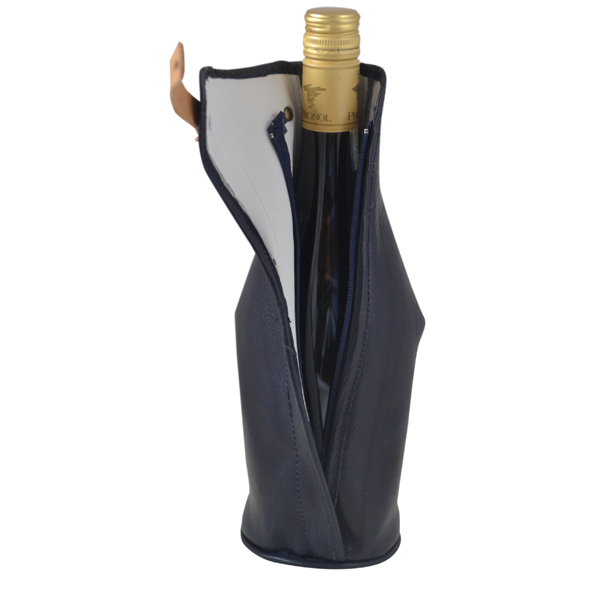 A good bottle of wine or champagne deserves a classy jacket. 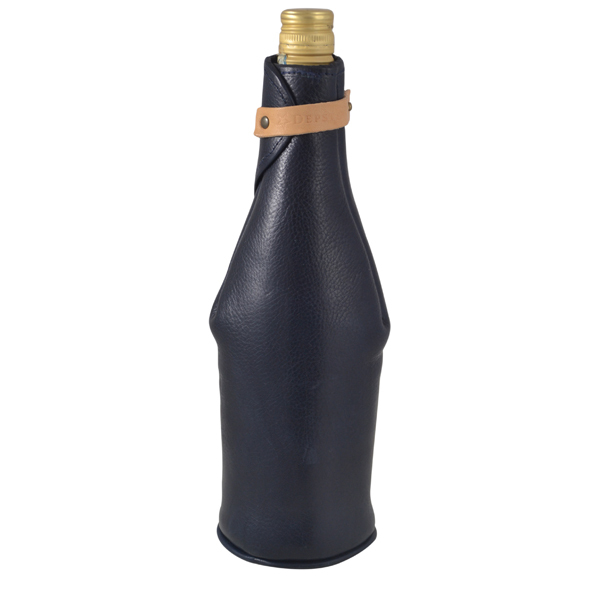 Protects the bottle against thumping and bumping. 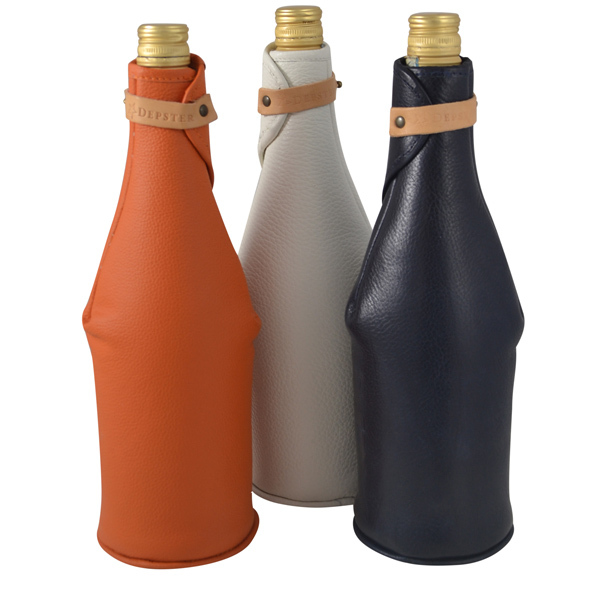 Leather is also known for its isolating characteristics, so this jacket will keep your bottle cool for at least 2 hours. Closes with a strap in which small texts or initials can be printed upon request. Please use the contact page for enquiries for B2B use. 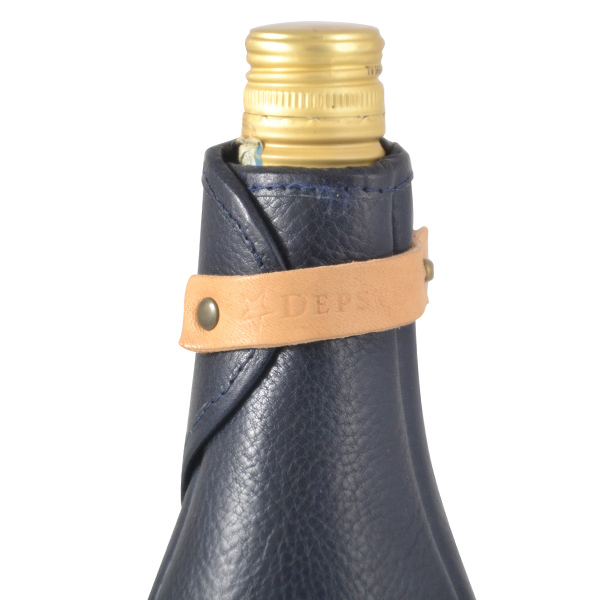 We offer the possibility to press company logo’s in the leather label on top or at the wine label.